Populus sp. in bloom.Teton Chapter, Wyoming Native Plant Society.tetonplants.org (Accessed 3/2016). 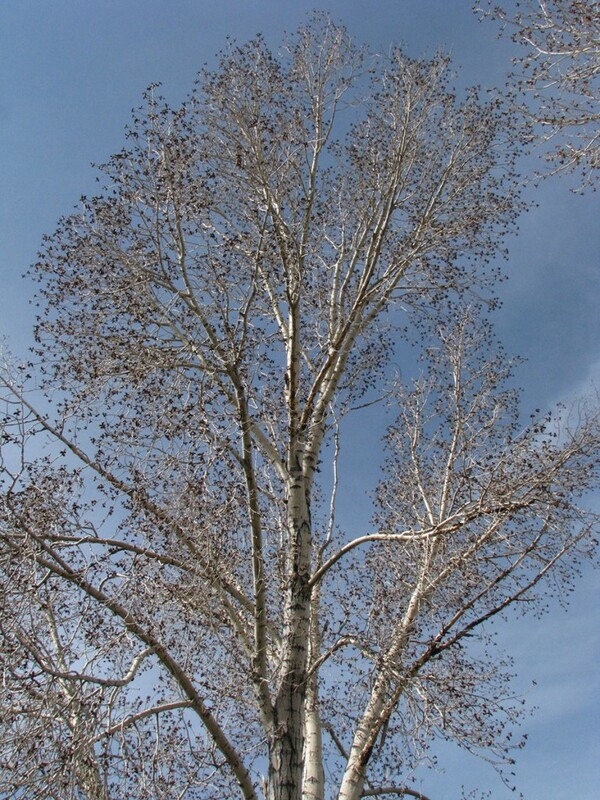 Populus is a genus of trees. Winter buds scaly, often sticky. Stipules (leaf-like appendages at the base of the leaf) often deciduous. Leaves deciduous, egg-shaped to more-or-less triangular (deltoid). Margins toothed to lobed. Leaf stalk often flattened. Populus sp. 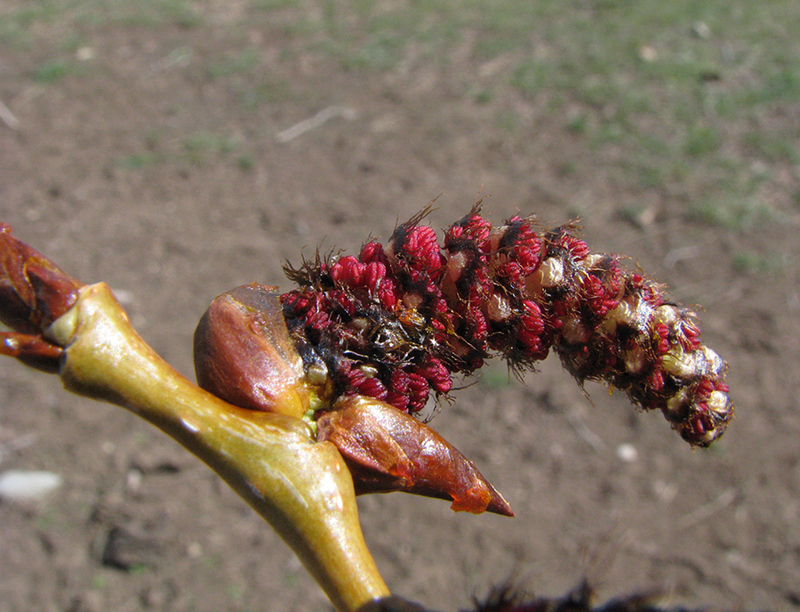 male flower buds expanding.tetonplants.org (Accessed 3/2016). Fruit a capsule containing numerous small, hairy seeds which are wind dispersed.